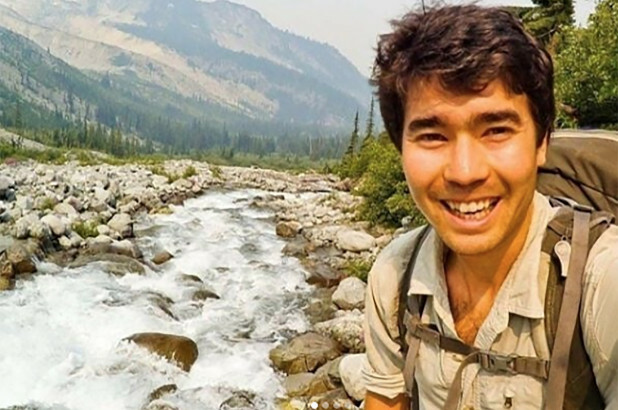 In late November of 2018, a young 26 year-old American Christian missionary named John Allen Chau was killed by a isolated group of uncontacted native indigenous peoples known as the Sentinelese who live on North Sentinel Island in the Indian Ocean. Before his murder, Chau paid several local Indian fishermen to ferry him near the island so that way he could attempt to make contact with the island’s inhabitants and convert the tribe. This particular tribe is more than 10,000 years old and is believed to be one of the first descendants of the first humans who migrated from Africa to Asia. Indian authorities have no current plan of action and are hesitant to recover the dead body of Chau because islands such as North Sentinel Island and its inhabitants such as the Sentinelese are protected under India’s national laws. Also, since the Sentinelese people are completely isolated from the rest of the world , they lack immunity from generic viral pathogens such as cold, flu, polio, whooping cough, chicken pox, and measles so any exposure from non-island visitors could decimate the small population of less than 500 people. While my thoughts and condolences are with John Allen Chau’s family and friends in the United States and I am generally satisfied that the fisherman assisting Chau’s travel were arrested by local authorities for violating Indian island protection laws, my primary sympathies and concerns got out to the Sentinelese people of North Sentinel Island. Like a living fossil, the Sentinelese people and other uncontacted isolated indigenous native tribes throughout the entire world are literal remnants of ancient humanity. The cultures, languages, histories, geographies, natural resources, societies, and religious or spiritual beliefs of the natives are nearly untouched by the contemporary globalized world of advanced technologies, labor and resource exploitations, and organized religions. However, with this recent incident, it appears that indigenous people’s lives and existence are under attack from religious fundamentalists from the outside developed world. According to a recent article from The Washington Post, Chau, who is an alumni of the Evangelical Christian Oral Roberts University in Tulsa, Oklahoma was prepared for this illegal island trip and was fascinated by this island years before his death. Chau, a Washington State resident, was also trained by the Kansas City, Missouri based All Nations Christian missionary group to travel the world and preach Christian values to various peoples in the developing world. Based on this information, it is quite clear that religious extremism, traditionalism, and fundamentalism originated from a developed advanced country with imperialist tendencies such as the U.S. would prompt a young adventurous individual like Chau to take his message abroad and almost destroyed the tribal identity, rituals, customs, existence, and history of an entire people isolated from modern civilization. We cannot allow organized religion of any kind to undermine and diminish original peoples, cultures, and societies around the world. It could be one of the primary reasons why developing countries in Asia, Pacific Oceania, the Americas, and Africa are developing along with external and internal political and economic issues. Instead of sending religious or spiritual missionaries to far away places somewhere around the entire world, maybe their focus should be on domestic humanitarian issues such as poverty, homelessness, pollution, and foreign national assistance. Let isolated uncontacted peoples be there own path in life and the world they want to live in so long as there is a habitable planet.